15.5 GALLON COMMERCIAL KEGS: These brand new 5 gallon full size, half barrel kegs are used by breweries all over the world, and are an excellent choice for your professional brewery operation. They were manufactured in an ISO 9001:2000 certified facility and produced to the highest standards of quality and workmanship. Thanks to their sanitary 304 grade stainless steel construction, they are suitable for storing wine, soda, kombucha, and cold brew coffee as well as beer. VALVE ALREADY INSTALLED: These kegs come with a valve already installed. Choose between a keg with a drop-in D system Sankey valve or a keg with a threaded D system Sankey valve. SANITARY STAINLESS STEEL CONSTRUCTION: The kegs are made entirely of food and beverage grade AISI 304 stainless steel. All seams have been TIG machine welded for smooth and consistent seams with no burn residue, making them more resistant to contamination. All keg surfaces have been chemically descaled (pickled) and fully passivated for a clean, sanitary, and corrosive-free storage environment. The kegs also feature fully rolled top and bottom stainless steel chimes that are 20% thicker. 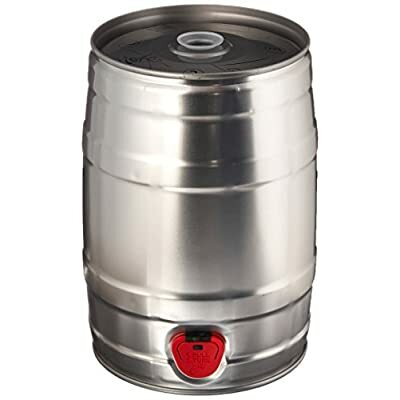 These Kegco 15.5 US gallon full size, half barrel kegs are made entirely of food and beverage grade AISI 304 stainless steel. They come with your choice of a drop-in D system Sankey valve or a threaded D system Sankey valve already installed. Kegco kegs feature fully rolled top and bottom stainless steel chimes that are 20% thicker, making them stronger and easier to grip. All seams have been TIG machine welded for smooth and consistent seams with no burn residue, making them more resistant to contamination. All keg surfaces have been chemically descaled (pickled) and fully passivated for a clean, sanitary, and corrosive free surface that ensures top quality packaging and transportation of beer and liquids. These kegs are manufactured in an ISO 9001:2000 certified facility and are produced to the highest standards of quality and workmanship required for a food and beverage grade storage vessel. Kegco kegs are used by breweries everywhere in the world, making them an excellent choice for your professional brewery operation. 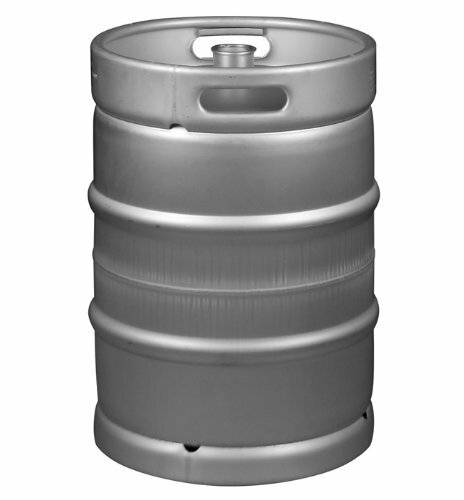 15.5 GALLON COMMERCIAL KEGS: These brand new 5 gallon full size, half barrel kegs are used by breweries in every single place the world, and are an excellent choice for your professional brewery operation. They were manufactured in an ISO 9001:2000 certified facility and produced to the highest standards of quality and workmanship. 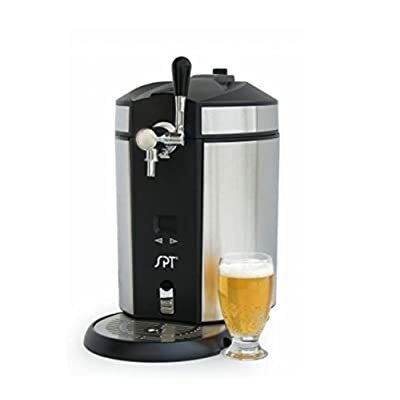 Thanks to their sanitary 304 grade stainless steel construction, they are suitable for storing wine, soda, kombucha, and cold brew coffee as well as beer. VALVE ALREADY INSTALLED: These kegs come with a valve already installed. 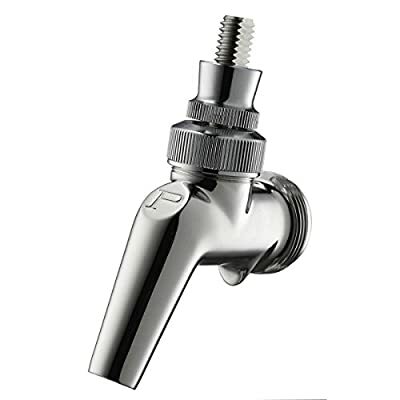 Choose from a keg with a drop-in D system Sankey valve or a keg with a threaded D system Sankey valve. FOR COMMERCIAL USE ONLY: These commercial kegs are only intended for use by professional breweries that have the specialized equipment needed to properly clean and sanitize this style of keg. They aren’t really helpful for use by home brewers who need to dispense their beer the use of a commercial keg. There is not any way to effectively clean and sanitize these kegs without specialized equipment, and we can not accept returns on commercial kegs purchased for home or personal use. KEG DIMENSIONS: These kegs measure 16.8″ in diameter and 23.25″ tall (a D system keg coupler and beer line will add 5.5″ to the height).